The holidays are here and while that means there is extra cheer around, it also means that there are extra rich foods, piles of sweets and tons of things that are definitely not on your diet. How will you ever survive this holiday season without breaking your diet? Well, it may be hard but these tips will help you stay focused on your diet while still enjoying the holidays. With calorie rich soups, tons of fat filled side dishes and trays upon trays of cookies around you all the time, you may think that you want it all. However, do you really want everything? While all of the foods at the holidays look tempting, you may be eating more with your eyes rather than your stomach. Only put the foods on your plate that you really, truly want rather than just loading your plate with everything that looks good. Being a little pickier about what you eat instead of trying everything will save you calories and prevent you from over eating. Yes, those 5 types of cookies do look good but just pick the one that is really calling your name! All of the good foods that appear around the holidays make you want to take more than you need. 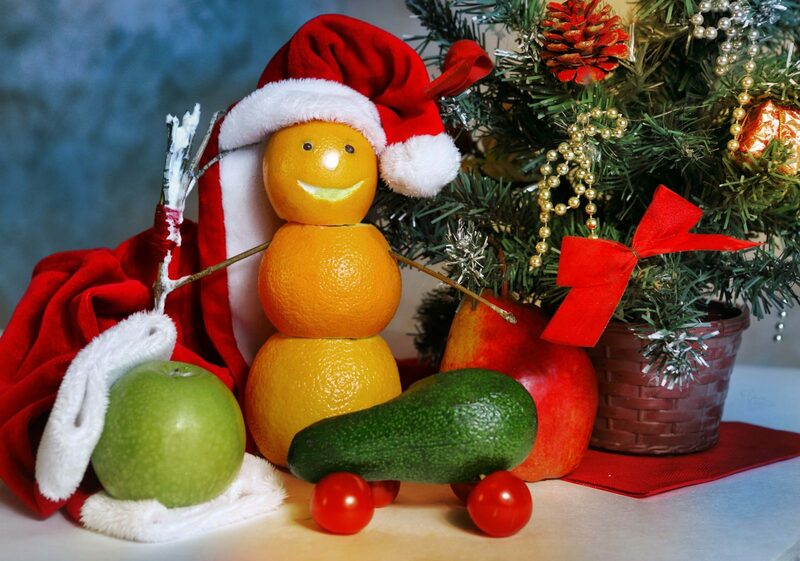 In fact, you probably are tempted to go for seconds or thirds when those luscious holiday foods are all around you. Don’t do it! By just having a little restraint and taking slightly less food than you initially want, you will be able to cut the calories and stick to your diet plan during the holidays. Rather than having two big servings of honey baked ham, just have one. Skip that third cup of hot cocoa and have just one. Take a smaller serving of apple pie and skip the ice cream. When you cut back a little bit at every meal, you can still enjoy all the holiday foods that you want but along the lines of your diet. Everyone wins! With all the good foods available on the holidays, you may be tempted to eat dessert after dessert after dessert- they are just too convenient this time of year! If you just decided to skip the sweets and stick to the delicious main courses and abundant side dishes, you will be instantly removing a big diet breaker from your holiday meal plan. While eliminating dessert all together can be quite hard, it is a commitment that will be sure to make you happy when the holidays wind down and your diet is still on track. If you are on a diet that restricts you from having certain foods, you need to make a conscious effort to stick to your dietary limitations throughout the duration of the holidays. If you aren’t supposed to eat gluten, skip all gluten laden foods. If you are on a low fat diet, keep eating low fat foods. There is plenty of variety in holiday foods that you can stick to your diet while still enjoying the flavors of the season. When you are not the one cooking all the foods (as may be the case around the holiday season), it may be tricky to know what ingredients go into each dish. Is there meat in that tray of stuffing? What about eggs? Is the bread special gluten free bread or just regular? You need to know! Don’t eat anything that you have questions about or they are likely to be diet ruiners. Ask those who cooked the food for the details, they will likely be happy to talk about how they made all their amazing holiday dishes and you will know exactly what you can and cannot eat. The holidays are a time to splurge. Even if you are on a strict diet, you deserve one splurge. You definitely do! Making the conscious decision to allow yourself one treat a week will help you stick to your diet all the other days. Knowing that your special treat is coming is great motivation and, when you finally get your treat, you will enjoy it that much more. Plan on what you will give yourself and make sure it is holiday themed! ‘Diet’ and ‘holiday’ are two words that do not always go together. In fact, they are two words that you rarely see in the same sentence! While the holidays may not be the easiest time to stick to your diet, by following these simple tricks and tips, you can definitely enjoy all your favorite holiday foods and stay true to your dietary goals. This sounds like the healthiest and happiest way to enjoy the holidays this year! Bio: Nicolas is a writer for Lima-France A world leader in developing advanced food manufacturing machines.